High Stimulant Pre-Workout With Dendrobium & Synephrine! Woke AF is not for beginners, rookies, or people who curl in the squat rack. 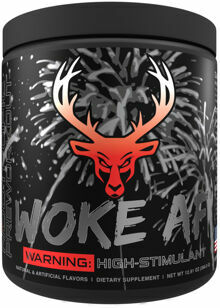 This stim heavy dose has been formulated for those with only the strongest of tolerances. 3 different stimulants combined with clinically proven cognition enhancers, and a potent delivery mechanism will help you stay WOKE through the most intense workouts, longest work shifts, graveyards, study sessions, (or simply crushing your enemies, seeing them driven before you, and hearing the lamentation of their people). Dendrobium - An ancient Chinese herb, used as an energy boosting agent. .
Synephrine - Synephrine HCl, also known as bitter orange extract. Synephrine in its hydrochloride form it has been shown to be more bioavailable in the body. A very potent stimulant, this compound has become a staple for stim junkies. Stacked with dendrobium, this formula has not just one, but two ingredients to mimic the effects of thermogenics. 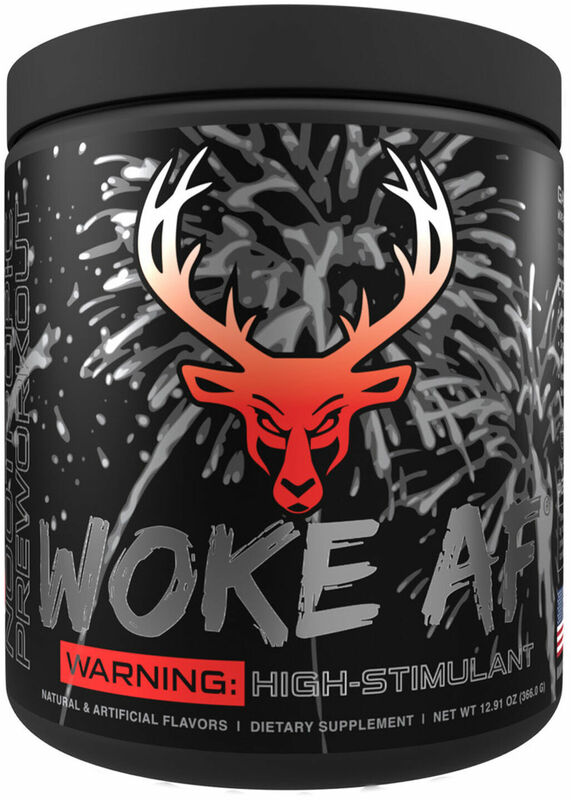 Caffeine - Increased to 333mg, WOKE AF is specifically formulated for those with an already developed high tolerance to stimulants. Carnosyn - Increased to 3.2g for extended training sessions.